It is with mixed feelings that we say goodbye today to The Last Lion who is off to begin what I am sure will be a very successful career at stud. Of course, as a trainer, I would have loved to have him next year and to see what he might do stepped up to a mile or in the top sprint races against his elders. 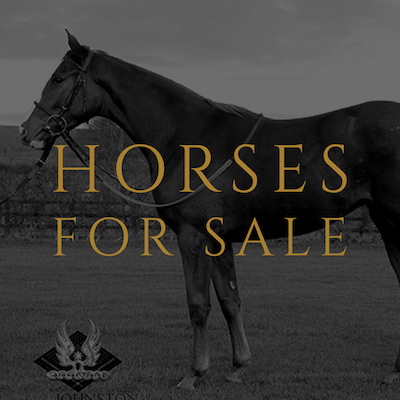 I had every confidence that he would have trained on and done well but, at the same time, I am delighted for his owners and for the horse himself that he has done so well in such a very short space of time and that he is already in such demand for stud purposes. He will surely go down in history as one of the best and toughest horses I ever trained. We started him way back at the beginning of April when he won the Brocklesby on very soft ground at Doncaster and he finished off at the end of September winning the Group 1 Middle Park on Good-Firm ground at Newmarket. In between he ran a further eight times on all types of ground and tracks and was never unplaced. He ran uphill, downhill, round a bend and even on the all-weather. To The Last Lion, it was all the same. Looking back at his training records I see that, from that first day at Doncaster until today when he steps on that horsebox, he has never had more than two consecutive days without a rider on his back. He is the type of horse that every owner and trainers dreams of. He truly is a ‘lion’ of a horse but I hope he is not the last. I am looking forward to training his progeny and I dearly hope there are many just like him.